Detective Bose had spent sleepless nights working on a serial killing case, but in vain. One morning he is summoned to a desolate countryside station to look into the claims of a man, who seems to have witnessed the murder of his baby daughter. Soon realization of his neglected responsibilities as a father start to dawn upon Bose as he finds himself vulnerable to possible threats at his newborn daughter as she too fits the profile of a potential victim of the serial killer. Telling stories has always been Tathagata’s first love. He has been into writing for a long time since he was 14 years old. He used to write short stories, poems, short verses and then novellas, many of which eventually got published. He was also into classical painting and in his final year at high school, he and some of his friends started publishing a little magazine called "Swarnaporni" (The Golden Leaves). The magazine had poems, short stories, novellas and comics. Being a writer and painter, Tathagata was a regular contributor to the magazine. Apart from illustrating his own stories, he illustrated other stories as well. Eventually this interest for pictorial depiction transformed into making films. Storytelling, to Tathagata, is magic. It helps him discover himself and his characters, who step into the world of realism. He also writes for various web film magazines about cinema and film making. 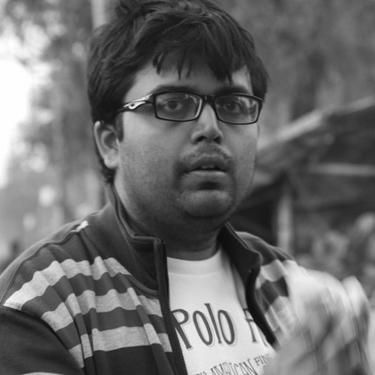 His articles have been published in some of the leading web film magazines of India too like Jamuura. His detective novel "Senilar Sonket" got published in the Kolkata International Book Fair 2016 in February. He originally comes from a small town in India and have been fortunate enough to interact with people from different social backgrounds with compelling stories. Their stories need to reach out to people all over the world and it is his goal to be their voice throughout. Having completed his studies in film and television, he has been constantly at his craft and complementing his love and madness for film-making. Besides making films, Tathagata also works as a screenwriter for SVF Entertainment Pvt. Ltd. , the leading production studio and film distribution company in Eastern India. His last release "Baksho Bondi"(Trapped in a Box) is streaming currently on "Hoichoi", one of India's biggest VOD platforms catering to 200 million Bengalis worldwide. Tathagata's films have been screened across multiple national and international film festivals and have won numerous awards.